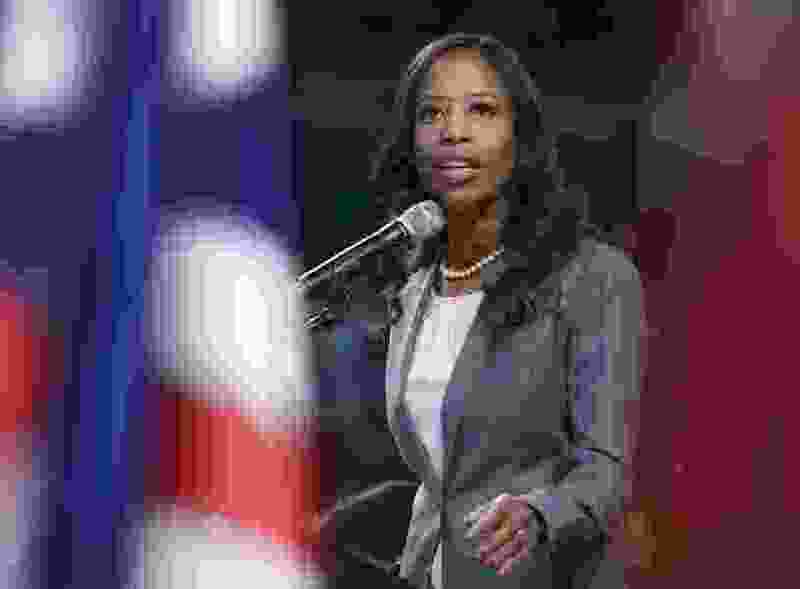 Washington • Rep. Mia Love was the only House member from Utah to vote against a hardline immigration bill on Thursday and after the legislation failed, GOP leaders said they would postpone a vote on a compromise bill to give Republicans time to regroup. Love joined 40 fellow Republicans in voting against the bill by House Judiciary Chairman Bob Goodlatte that didn’t allow a path to legal residency for immigrants brought to America as children. It also contained several controversial enforcement measures. Utah Reps. Rob Bishop, John Curtis and Chris Stewart supported the bill, which failed 193-231 with all Democrats opposing it. House leaders had planned an evening vote on another immigration bill, one that would provide $25 billion for President Donald Trump’s border wall, offer a pathway to citizenship for young immigrants and ensure that families seeking asylum are not separated at the U.S.-Mexico border. But House Speaker Paul Ryan pushed off that vote and called the GOP conference to meet in the afternoon to gin up support for that measure. Love, in an impassioned speech on the House floor Thursday, pleaded for her colleagues to pass the compromise bill even as it’s fate was uncertain. She said it wasn’t a “perfect bill” but would make it easier for people to come to America legally. “It hits a sweet spot, allowing us to both follow the rule of law and show compassion to those who seek the freedom and blessings this country has to offer,” said Love, whose parents fled Haiti and later became U.S. citizens. Utah’s other members of Congress did not respond to requests for comment on the vote.